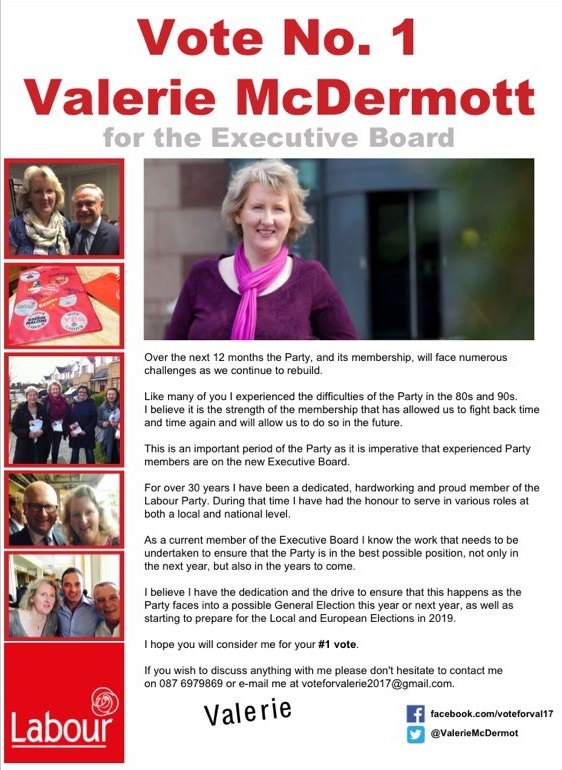 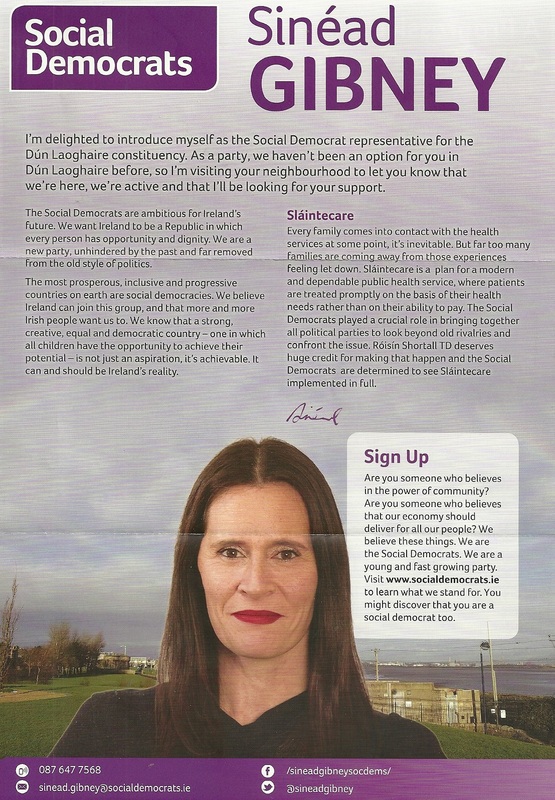 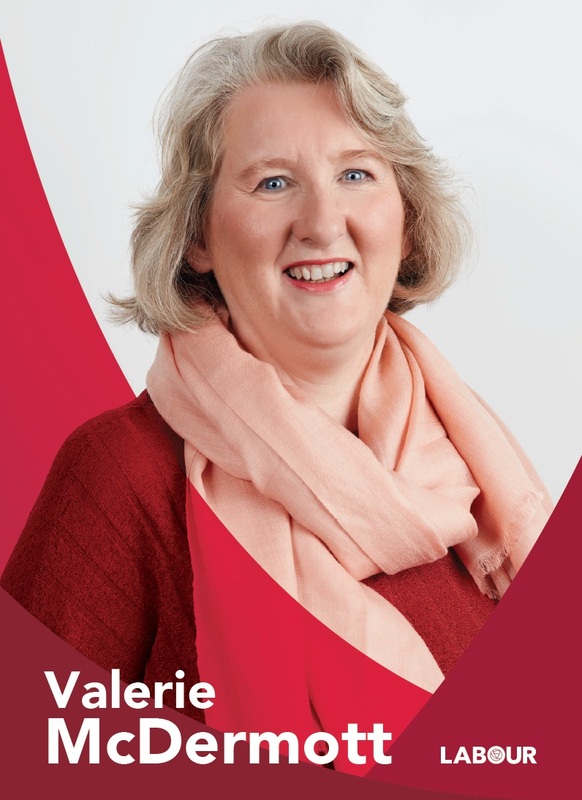 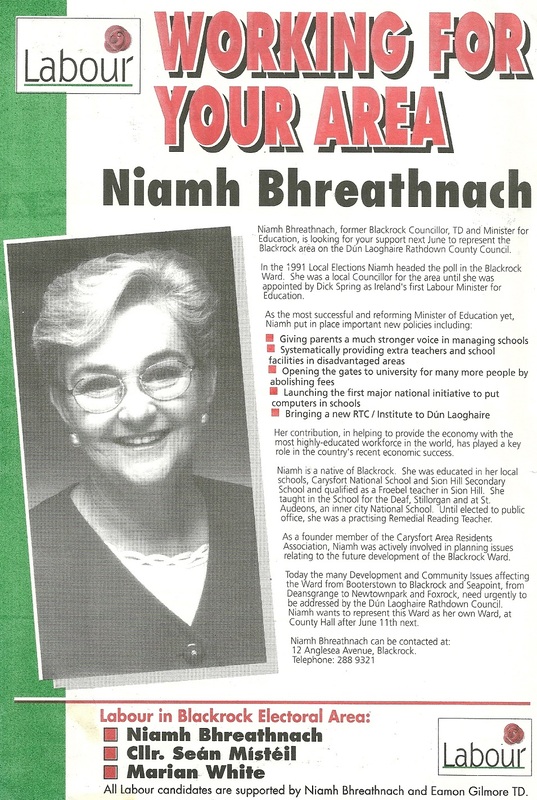 A Leaflet from Valerie McDermott who is running for a position on the Labour Party Executive Board. 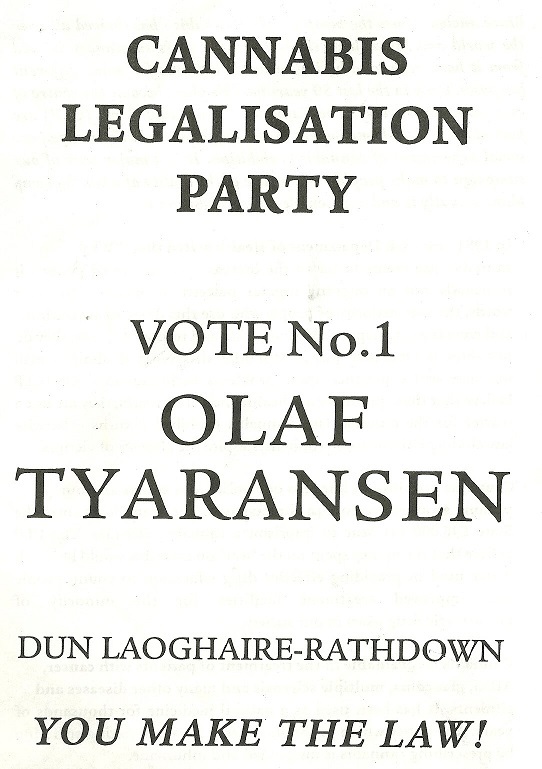 A Leaflet from Olaf Tyaransen who was running for The Cannabis Legalisation Party in the 1997 General Election in Dun Laoghaire. 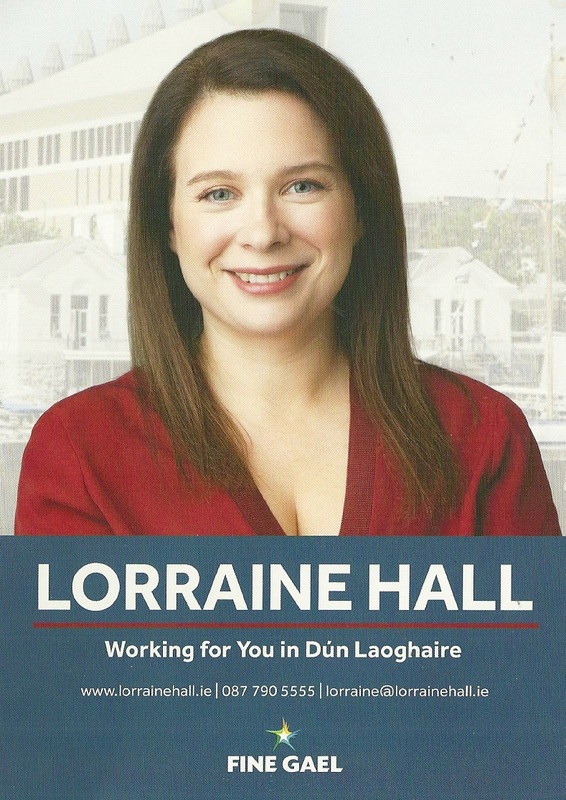 He polled 348 votes. 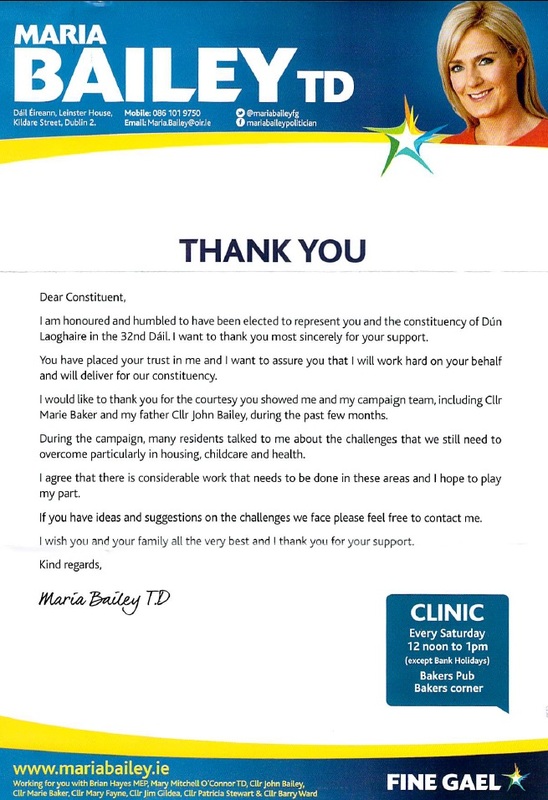 Tim Murphy also ran for the party in Cork South Central polling 663 votes.